Are epic birthday parties setting kids up to expect privilege? 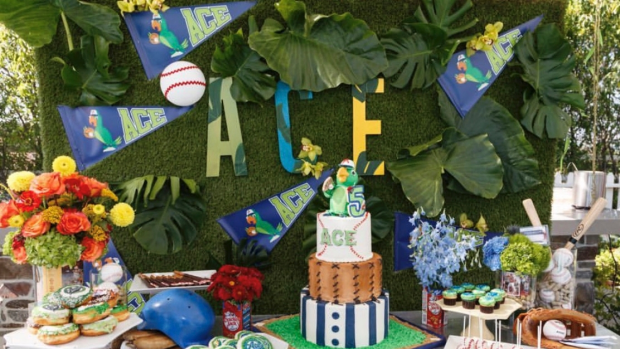 When I saw the photos of the latest kids birthday party thrown by Jessica Simpson for her son Ace Knute, my jaw hit the ground. Not in a judgy-judgy way, but in a "wow that's amazing" way. 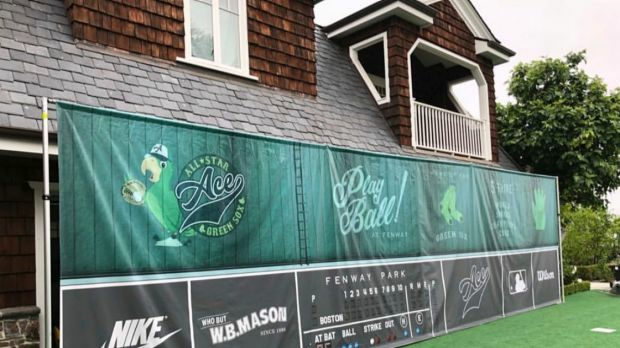 Ace, who has just turned five, got the party of his little boy dreams - baseball and parrots which are apparently his two favourite things in the world. Full props for creativity here. Jessica and husband Eric Johnson going all out and hiring event stylists Whambam Events to make Ace's dearest party wishes come true. Jess posted photos from the birthday bash on her InstaStories. I once stayed up all night making one of my kids the perfect Thunderbird 2 cake and once there was a rainbow party. Now well into my second decade of parenting I've gone back to basics; park parties with soccer balls, a cake and some nibbles. If I'm spending big bucks on my kids' birthdays every year, am I setting them up to think this kind of expenditure is normal? Having the means to pull off a party like this is kind of irrelevant. Wealthy kids in particular should be learning lessons about the value of money so that they can use their privilege wisely. And I'm not having a go at Jessica who lives in a different world to most and clearly adores her family. Just like all of us, she simply wants the best for them. She's a self-confessed kids party maven, with daughter Maxwell's 6th birthday party last month equally opulent. Perhaps it was a self-deprecating nod to Jess's party obsession when they dubbed it the Over the-Top Big Top party for her 6th birthday. I think it pays to assume the best of people and have faith that there's balance going on, and that this snapshot into the Hollywood lifestyle may not reflect the sensitive parenting happening behind the scenes. Childhood is short and we all have our own ways of trying to make it magical for them.